This is definitely an American type put-together, perhaps from such parts of a discarded or broken hangar. 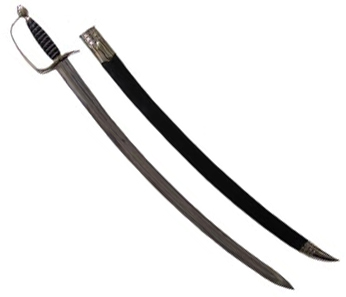 The blade, 28" long, would have been made up by a blacksmith to turn the original hangar into a sword. 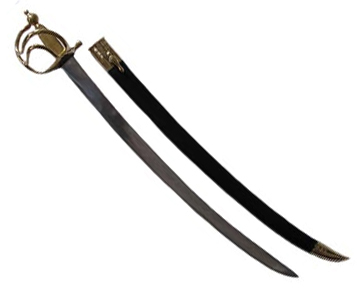 The scabbard and brass mounts are a cut above the work of the local blacksmith, but they were available and did the job. 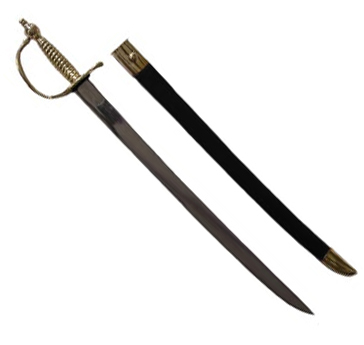 We offer these swords with either the M1742 #107 or M1751 #108 guard and wire wrapped grip which gives a more officer-like appearance. Please specify guard type when ordering.